Where to quickly put shampoo bottle while taking bath? This question won’t come to mind if you have Mesh Shower Organizer (Shower King by Bajer). 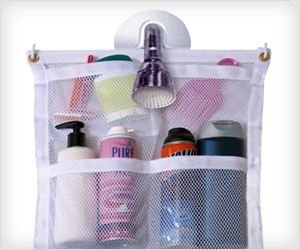 Machine washable mesh shower organizer can be used to store variety of bath and shower products.